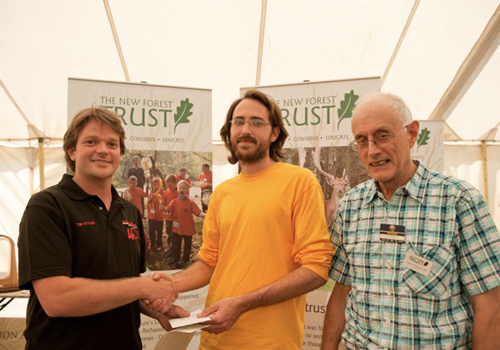 Once again Axminster Tool Centre will be sponsoring the New Forest Trust's Furniture Competition which is held annually at the New Forest & Hampshire County Show, this year on 30 July to 1 August. The competition is open to apprentices, students and anyone enrolled on a full or part time training course with a recognised tutor and is training to become a designer/maker of fine crafted furniture. The top three places in the competition will be decided by a panel of judges; on this year's panel are Martin Grierson, Richard Williams and Jane Cleal. There will also be a prize for the 'People's Choice' which is awarded as a result of votes cast by visitors to the show. For the second year running, the Worshipful Company of Furniture Makers is adding its support to the competition by providing prizes of £250 each for the Best Craftsman and the Best Designer. The exhibition of entries was conceived as a way to widen public awareness of the availability and opportunity to own furniture made from locally grown wood by top class craftsmen. To this end competitors are encouraged to use timbers from local New Forest woodlands provided by the Trust or wood from a similar source. For full details of the competition please click here. The closing date for application forms is midnight on 31 May 2013. A few professional furniture makers are asked by special invitation to exhibit pieces that demonstrate their style, design and craftsmanship.